Here’s the Google Business View shoot that we did for Ducati Detroit, motorcycle dealership located in Birmingham, Michigan. They have a great shop which is branded really well with new and used bikes, clothing, accessories, and a great service bay. 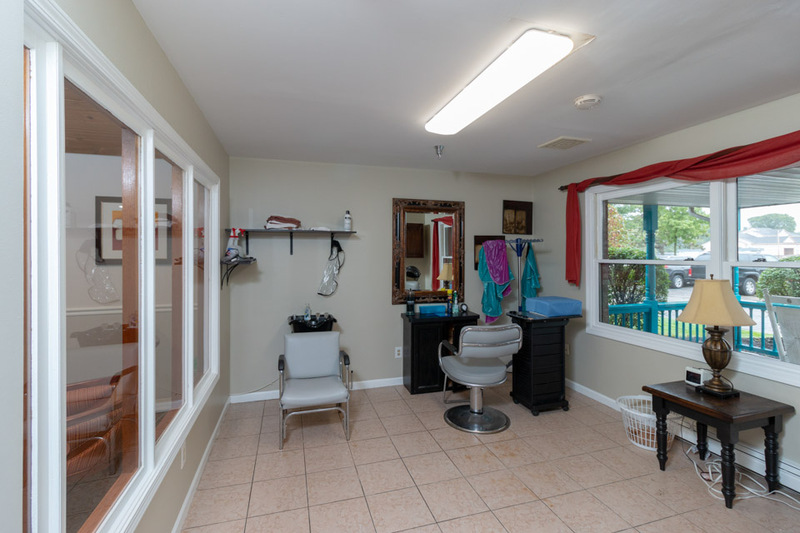 We recently had the pleasure to shoot a Google Business View tour for Lucky Hair Company. The offer hair, nail, and other services for their clients. So, we wanted to help them showcase their beautiful space to prospective clients on Google. Check out the tour below! I recently had the opportunity to photograph a Google Business View shoot for All American Pet Resort Lakeshore in Roseville, Michigan. What a great place for your dogs to stay when you need it! They have individual suites, a group play area, pick up any time, and the employees are all great, too! Here is the Google Business View shoot that we did for All American Pet Resorts in Canton, Michigan. We love this place. 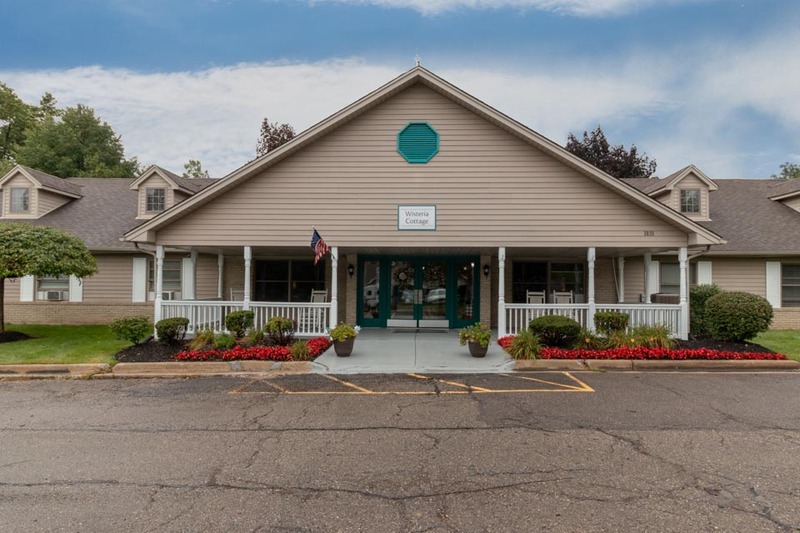 The people, the dogs, the clean atmosphere, 24-hour service, and an affordable alternative to trusting that your brother’s best friend who you met once will remember to go let the dog out while you are on vacation. Shot my first Google Business View Photography Shoot for Auto Lab Canton as a Google Trusted Photographer! Check it out! The shoot for Auto Lab is composed of fourteen 360-degree panoramas linked together to form a walk-through tour of the auto shop linked to Google’s Street View and Google Maps. The business can embed the tour on their own website just like I did here. The “see inside” photo link shows up in Google search results, map results, and on the business’ Google+ page. So, it makes the business more visible in the search results because it’s not just text like the other results. The customer can see their clean and up-to-date their auto shop and the customer lounge. Pretty awesome stuff! If you’d like to have a Google Business View Shoot for your business, please contact us to be your Google Trusted Independent Photographer. This afternoon I braved the cold and snow to photograph a commercial building for The Gladstone Companies. It was about 25 degrees out when I did the shoot. The tenant was Eberspaecher and the building was located on Gen-Mar in Novi, Michigan. The sky was pretty dreary. So, I did some sky replacement in Photoshop. Here’s a before and after image to show the editing I did to get the final image. The client wanted images to show both the Eberspaecher logo and the depth of the building. Unfortunately, there was a gigantic pile of snow blocking that angle. So, I tried my best to work around it. We stopped by Greystone HarborChase in Sterling Heights for a photography session. 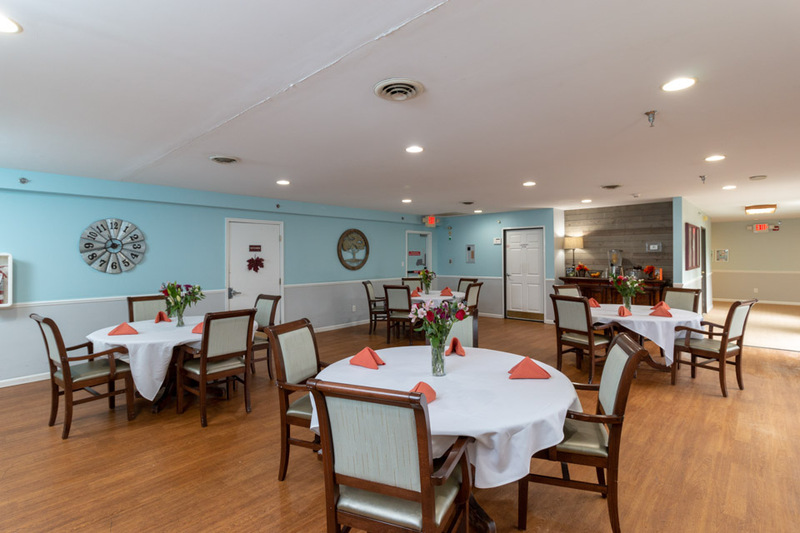 HarborChase is a senior living and memory care facility and they have multiple locations around the United States. 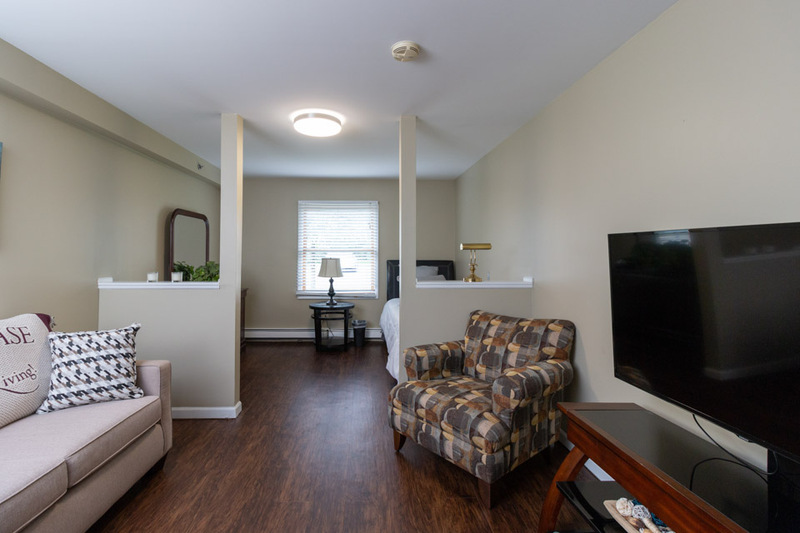 There are various cottages around the grounds, each with it’s own set of rooms for residents, common rooms, dining rooms, and patio space. Take a tour with us! The exterior of one of the cottages; the others are identical. 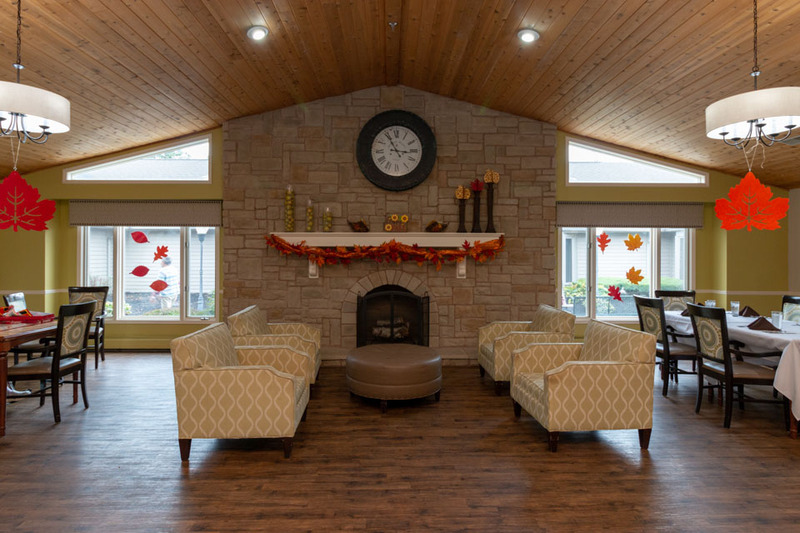 One of the common rooms, decorated for the fall season. The dining area in one of the cottages. A look inside of the resident’s rooms. Some outdoor furniture for residents to enjoy on a nice day. The HarborChase sign welcoming you on your way in. 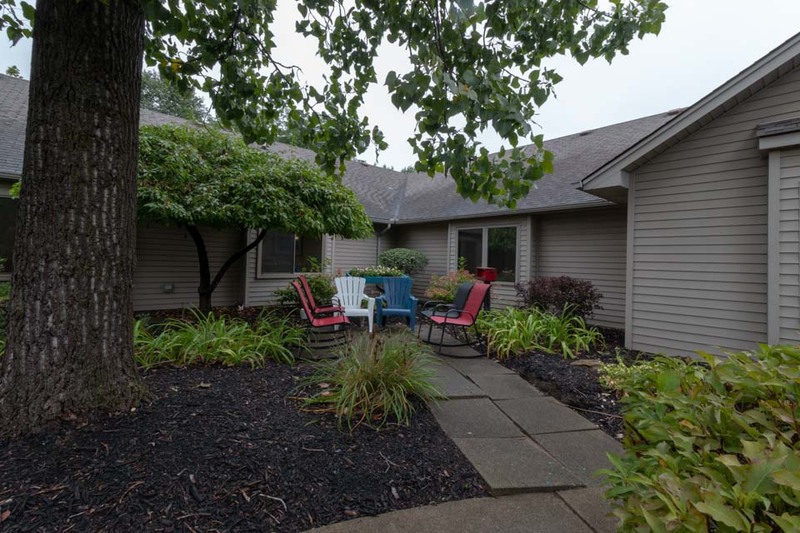 Big news… My family and I are moving to Michigan! Our house in Virginia was listed for sale yesterday afternoon! If you or someone you know might be interested in our home, please contact Pam Jones from Long & Foster – Extraordinary Transitions. We’ve been pretty busy the last couple months working hard on fixing up our house and preparing it for listing with the staging help of Donna Brandon from Staged 4 Success. It’s looking fabulous! I wish we did all this work to make our house look awesome when we first moved in! So, I’ll be in Michigan for the next couple weeks looking for our new home and I probably won’t have any more shoots here in Virginia. I do want to thank all my clients here for their business and the friends I’ve made here for their support and referrals. You are all awesome! The Realtor position in my business networking group (BNI – Loudoun Business Connection) is now open. So, today our group had a Realtor focus day instead of the usual keynote speaker. So, there are a lot of Realtors visiting our chapter until we pick one to fill the spot (which probably won’t be until the end of January at the earliest). Might be a good time for those of you looking to meet Realtors to come visit! Next week’s keynote presenter will be Craig Wells from Mainstreet Landscaping. We meet every Wednesday from 11:30am-1:30pm at River Creek Country Club in Leesburg. Let me know if you’d like to come check it out! On Saturday night, I photographed a totally fun Christmas party for the Wasser Family. This was the 25th year in a row that they have done a Christmas party to celebrate with their friends. So, this one was special for them. They set up a fun background with stringed lights behind white fabric with some silver trees and champagne for photographing couples as they arrived. Later during the party I printed the portraits and put them into cardboard ornament frames for the Wassers to give their guests as gifts. Unfortunately, I didn’t think of it at the time, but I should have photographed the printed images in their frames once they were complete so I could show you how smashing they were. The prints were a big hit. There was also some great food, a live singer, and some super cute elves to greet guests and take their coats. A great time was had by all!